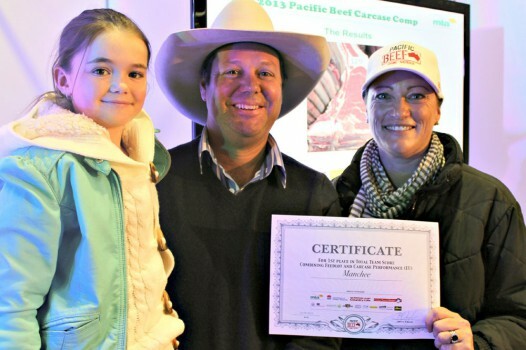 Beef Australia 2015 ran the only national carcase competition in conjunction with their tri-annual major event held in Rockhampton. 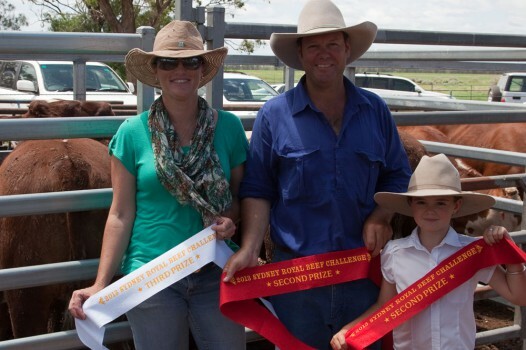 It presents a unique opportunity for cattle producers to benchmark their stock in a truly national competition. The carcase competition had competitors form all states of Australia vying for the title of National Champion Carcase and National Champion Pen. The competition is run on a MSA based system with the same MSA Grader judging all carcases entered in both the grass and grain fed classes. 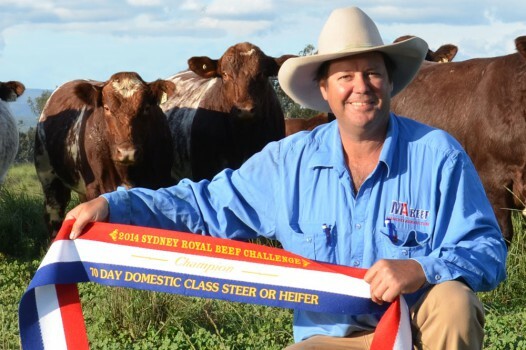 Manchee Ag win Champion Domestic steer/heifer in the RAS Beef Challenge for the second consecutive year. Two pens were entered in the competition with our Durham Shorthorn pen placing equal first in the carcase grid and being awarded the Bronze Medal for the Taste Test and the pen placed 6th overall. This pen of steers were again one of the most profitable making $305.25 more profit returning an average of $1,054.44 per head. The champion steer was awarded 2nd in the on hoof component and was 3rd for feedlot performance. He was a Durham Tropical steer sired by Manchee Mexico F34. He had a DWG of 2.22 kg/day over the 60 days, 1 score marble and returned $1,100.58. Manchee Ag steers were top performers in the RAS Beef Challange winning the Champion Domestic Steer and placing 3rd and 4th in the Domestic Class pen of six. The Champion Domestic steer was a Durham Tropical steer sired by Wilgaroon Dunkirk who performed well across all sections. He had a daily weigh gain of 2.20 kg/day, a perfect fat score, an EMA of 77 and returned $1,100.46. Manchee Agriculture concentrates on delivering quality cattle to all stages of the supply chain, from client to customer. We enjoy supporting our clients, including offering our knowledge for replacement female selection, sale day advice and commercial marketing of cattle. Since the inception of our on property bull sale in 1995 we have had over 80% repeat clients each and every year. Our clients are a testament to our success. All animals are subjected to rigorous analysis for Breedplan and for carcase specifications over the hook, with sire and dam selection being paramount. 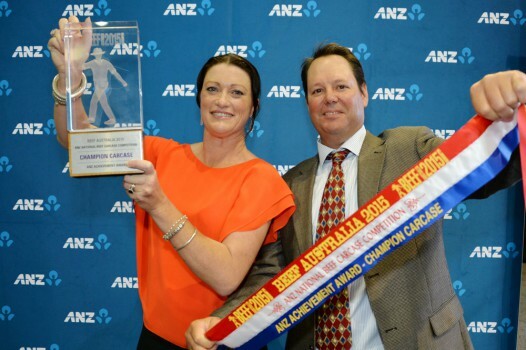 We continually compete in carcase and feedlot competitions to benchmark our cattle, with numerous wins including 2015 Beef Australia National Champion Carcase. Manchee Agriculture have cattle genetics being used in all states of Australia a well as New Zealand, the USA, Canada and South America. John & Liz are often seen in judging rings together around the country, including Royal Shows and officiating overseas.